It’s been quite a while since we’ve seen a multiplayer beat-em-up that’s substantial enough to warrant long time genre fans’ attention. There have been many attempts to revive the genre with games like The Behemoth’s Castle Crashers, the pseudo-retro brawler Scott Pilgrim vs. The World and, more recently, the ultra-80s stylings of WayForward’s Double Dragon Neon. But these games lacked the depth that some fans felt that the genre could potentially deliver. Enter Dragon’s Crown: A beat-em-up from Vanillaware that invokes childhood memories of playing beat-em-ups with your friends, combined with a fairly rich skill system, and provides a seamless way for fans of the genre all over the world to participate in an epic adventure. Much of the beat-em-ups released this generation relegated to the notion that for a beat-em-up to succeed, it had to be finished within a short amount of time much like when it was in the arcades. But Vanillaware’s titles, both from the recently re-released Muramasa Rebirth, to their first U.S. hit Odin Sphere, were somewhat lengthy. Dragon’s Crown‘s length falls in between these, spanning roughly about 14-20 hours depending on how much of the side content you explore and how good you are at hacking and slashing on the Normal difficulty. 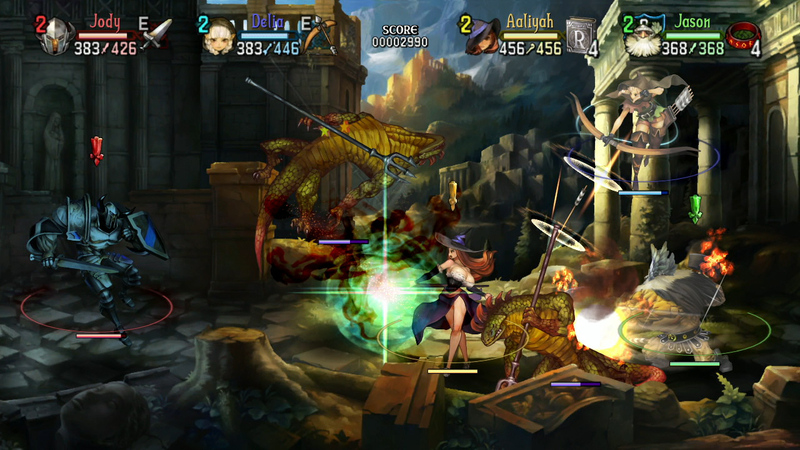 Unlike Vanillaware’s previous titles however, Dragon’s Crown features a multiplayer component that’s aimed to allow for much flexibility in the way you play the game. It should be noted that you won’t be able to access the game’s online multiplayer until you’ve completed your first run through of all 9 dungeons in the game, which shouldn’t take you more than a few hours. This might be a curious decision to some, but this ensures that each of the players’ characters that join you online are more or less accustomed to their specific play style. 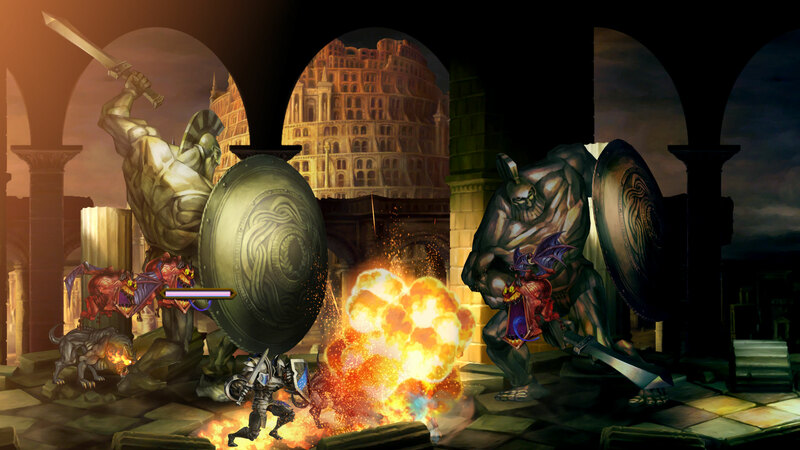 Players are given one of six different classes to play as in Dragon’s Crown: Fighter, Amazon, Wizard, Elf, Dwarf, and Sorceress. As one might expect, each class plays a bit differently than the others. Fighters are considered the beginner class and have really good offensive skills and decent speed. The Amazon is a bit stronger than the Fighter, but is slower as a result. The Dwarf is comparable to the Amazon, except he’s also able to throw enemies as projectiles at other enemies. If you love juggle combos, the Elf is perfect for you, as she has the tools to be able to keep a multitude of opponents in the air with all her skills. Lastly but certainly not least, both the Wizard and Sorceress are able to wield extremely powerful magic that can harm multiple opponents at one time, at the cost of physical attack damage. Players can potentially have a combination of one, two, three, or all of one given class with no limitations, including levels. Want to try a class? Fear not. Dragon’s Crown allows for 16 character slots per save, which includes any local friends who want to join the party. The only catch, however, is that story progression is tied per character, and Dragon’s Crown looks for the character in the party furthest in the storyline to find out how much of the storyline has been completed. Skill progression in Dragon’s Crown is handled by a skill point system, where players gain a skill point every time their characters gain a level or complete a side quest. Players are able to spend points on any skill under two different categories: common–which are the same regardless of character class–and class skills that are unique to each class. 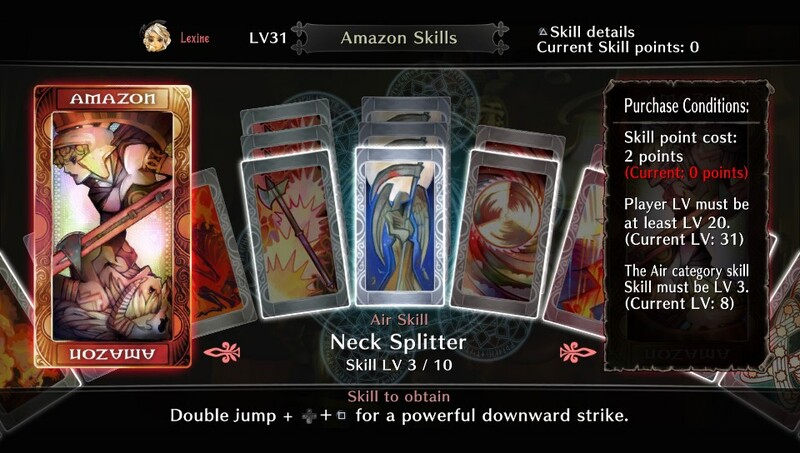 Spending points on skills either enhances a particular aspect of the character’s skill, or allows the player the use of a brand new supplement skill that will help in battle. Each skill can be leveled up multiple times in order to increase its effectiveness. Equipping certain skills to use in battle is sometimes done by ensuring that the player assigns the skill in a particular slot in the user’s bag. This is particularly interesting, given that if players don’t have enough slots for armor or weapons that players would have to make a careful decision with choosing between assigning equipment or skills to a slot. As characters progress, additional slots can be purchased by spending skill points on the appropriate skill found under the common skill category. Keep in mind however that assigning things to slots needs to be done in town, prior to venturing into a dungeon. Mission design isn’t really something that’s often talked about in the beat-em-up genre, but Dragon’s Crown offers ways to change up the pace of the game by introducing mechanics that can affect a player’s prioritization of a mission from “let’s defeat every single bad guy on screen” to something else entirely. One quest, for example, has players protecting hostages from enemies as they try and rescue them from their captors. Another quest asks the player to go and defeat a boss monster alone. Also, going through all 9 dungeons the first time through allows players to select two routes per dungeon. These new B-routes feature more challenging monsters and situations and are part of the second half of the main storyline, ultimately culminating with a showdown with the game’s end boss. A lot of these choices are clearly the product of Vanillaware’s experience in the field, and even a little bit of history. George Kamitani, the president and founder of Vanillaware, was known to have worked on Capcom’s Dungeons & Dragons: Tower of Doom, which was coincidentally re-released recently. While Capcom had a formidable stable of games in the genre, Dungeons & Dragons: Tower of Doom and its sequel, Dungeons & Dragons: Shadow Over Mystara, were unique in that character progression was just as integral to the game as the combat gameplay itself. In many ways, Dragon’s Crown seems to be the evolution of that very idea. One thing that seems to have been, in a way, carried over from these previous titles is the ability of the player to jump into any game online, regardless of their region, as if they were players dropping quarters in an arcade machine waiting to join in. For individuals who’d rather play the game close to home, a friends option is included with the online mode. Voting for a route is achieved similarly to Capcom’s Dungeons & Dragons games and are tallied by player vote. The only difference with this is that players are given a choice whether or not to advance to the next dungeon or head back to town after completing a dungeon. To make the choice slightly more complicated, the game shows bonuses that, should the player decide to advance to the next dungeon, will be applied for the duration of said dungeon. Things like being able to increase the experience points players obtained, increase the gold players obtained, increase the players’ treasure rank, which determines the kind of reward players receive at the end of the dungeon, or increase the effectiveness of the drops, are the types of bonuses displayed during this selection process. 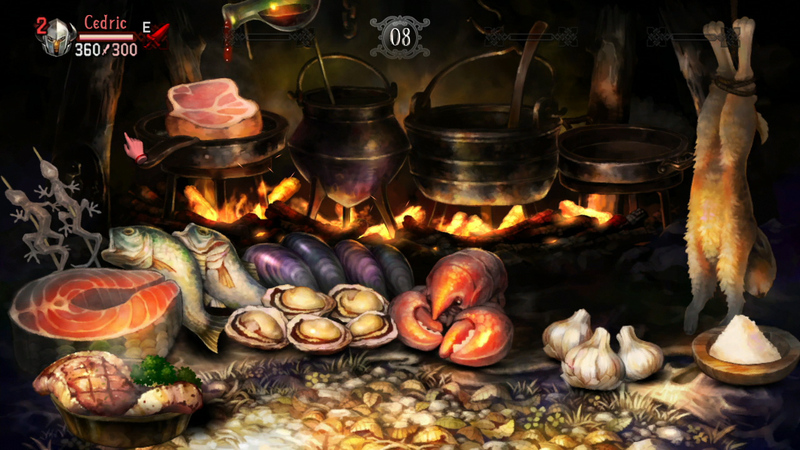 Should players decide to push forth and explore the next dungeon, not only are they awarded with the bonuses that were promised, but they also are able to add more bonuses by means of cooking for the party prior to the start of the dungeon. The cooking mini-game is simple: Drop any ingredient into either a pot, pan, or bowl, then season it to add flavor. Afterwards, stir, then take it off the pot, pan, or bowl and put it on a plate. To get the bonuses, eat the meal on your plate. You have a limited amount of time to cook, and you’re not really sure what kind of bonuses you’re getting while cooking, but the game shows you what you’ve accomplished at the end of the cooking round. Personally, I always selected going back to town even though I had to pay to be able to select where I left off. And this is where another part of the game differs from its predecessor: Gold is a powerful resource in Dragon’s Crown. When party members fall in battle, instead of having the option to “steal” another player’s life to continue the game, gold is actually spent in order to revive said comrade. This is justified in the storyline as tithing to Althena, one of the gods that exist in the world, and it is also explained that repeated deaths require that tithing be a lot more expensive each time. It’s not surprising to find players spending upwards of 10,000 gold after their comrade’s third or fourth death just to get them to provide damage support during a tough fight. 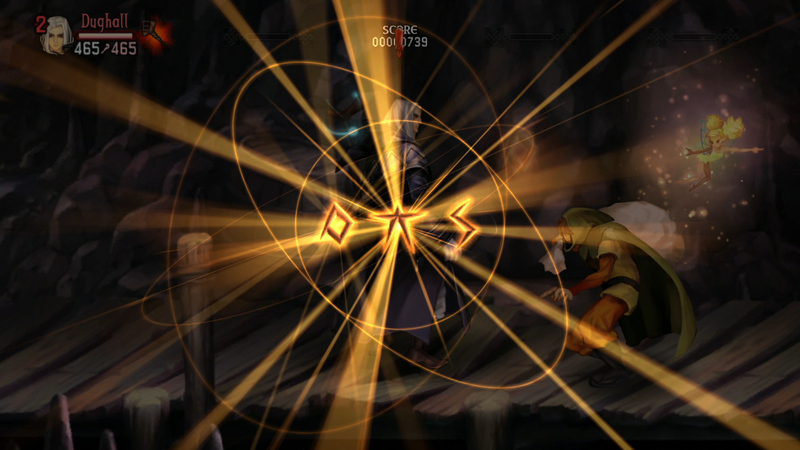 Gold is also required to resurrect characters that players will find throughout their adventure. Each dungeon features rooms with piles of bones that players can pick up and take to the temple in town and revive, for a fee. Afterwards, players can then go to the pub and select which of the revived characters they’d like to form a party with. It’s important to note, however, that if these characters are not revived during a run in a dungeon that they will not reappear in the pub. In addition to this, gold is required in order to select what dungeon players would like to visit. During the first half of the game, players are able to freely select which dungeon they’re able to go into. But a storyline justification at the halfway mark suggests that using this same method of travel will prove to be unpredictable and generates a random destination, hence why players now need to spend money on horses to ensure that they get to their intended destination. Finally, all of the items obtained, with the exception of food and other restorative items, need to be appraised for a fee in order to be used. These items can also break, which then require gold to be repaired at the local store, tended to by Morgan, pictured below. I may sound like I’m complaining about this mechanic, but I actually think it’s clever how Vanillaware managed to make something like gold, which is generally overlooked in most beat-em-ups (but not in other genres), an important resource in this game. While players may not be dropping more quarters because of their failures in combat, players will have to work hard to get back their hard earned gold. This is not unreasonable, however. For one tough battle, I recalled losing about 30,000 gold. But after spending roughly 30 minutes in side quests and other dungeon runs, I was able to obtain the same amount with relative ease. Odin Sphere and Muramasa featured beat-em-up gameplay with a heavy focus on juggling opponents, and Dragon’s Crown is no exception. One of the many things I enjoy about beat-em-ups when I play them with friends is our ability to juggle opponents in the air until their death. Regardless of your chosen class, Dragon’s Crown provides the right amount of tools in order to juggle opponents in the air and, upon landing on the ground, pop them off the ground ever so slightly, only to toss them back up to be juggled a lot more. Unlike Capcom’s Dungeons & Dragons games where Street Fighter-like execution is required for certain moves, players need only to press the designated direction and the Attack button in order to perform certain moves. For example, pressing Up + Attack will make the Amazon do an uppercut-like move. Pressing Down + Attack will make the Amazon slide and hit enemies that are on the ground, even if they’re lying down. Pressing Forward + Attack will make the Amazon swing her axe like a bat, causing opponents to be thrown against the edge of the screen to be set up for a juggle. Later in the game you’ll find certain markings on walls called Runes that, when combined with Rune Stones, will unlock specific buffs for your party that last a short while. One buff actually increases the number of lives players have in a dungeon. Mind you, that’s the number of lives you have right after starting a dungeon. Other rune buffs include spawning a bunch of money bags onscreen that you can pick up for your coffers, a slight increase in knockdown capability, and other battle enhancing powers. All of the chests and doors you encounter are locked in Dragon’s Crown, so it’s great that players will have Rannie the thief to assist them in that regard. Players can tell him to unlock doors and chests by moving their cursor, using the Right Stick and pressing the L1 button on the object they wish to unlock. On the Vita, this is a lot more intuitive: just tap onto the item you want unlocked. While most players may find this type of gameplay loop repetitive or monotonous, I actually enjoyed the creative ways my friends and I were able to set up opponents to be juggled forever. It’s really that satisfying. But being able to juggle opponents doesn’t mean that the game is a slouch. The B-routes in Dragon’s Crown, as mentioned earlier, provide some challenging scenarios that are more than just “kill everyone on screen.” There will be times when players are forbidden to jump, or will have to face away from their opponents, so as to not be hit with a fatal attack. Mashing buttons will only get you so far. Dragon’s Crown starts off on the Normal difficulty, imposing a level cap at 35. Defeating the game will unlock Hard mode, which will reset the game progression, but the difficulty of each dungeon increases. Defeating Hard mode will unlock Inferno mode which again resets the game… only this time, the level cap will be raised to 99. Speaking of juggle heavy, one of the biggest points of contention leading up to the game’s launch is its art style and depiction of breasts, deemed by some as very jiggly. I’ll readily admit that I really like the art style of the game, not because it’s titillating, but because it sets the game apart from most of the titles out on the market. And while some characters, like the Amazon, are ridiculously proportioned, I feel that it’s one of those things that you look at once, laugh at its absurdity, and then move on. Admittedly, there are moments in the game where you encounter story characters, such as one found in the Pirate’s Cove dungeon, that border on both. I know that the art style can be a turn off for some people, especially since the women’s chests (for the exception of the Elf and Tiki, the fairy) are gargantuan in size, but it’s one of those things where players will have to decide whether or not it’s a big enough deal that it would detract from their experience. It didn’t for me. If you’ve read any of my previous reviews, you’ll probably notice a curious omission in the beginning of this review: the story. The story of Dragon’s Crown pretty much amounts to the fact that you’re an adventurer who wandered into the land of Hydeland and, being you are who you are (i.e. generic adventurer person getting into trouble), get embroiled in various political affairs and succession scandals that ultimately culminate in the retrieval of said titular object and prevention of an evil force from being resurrected. Let’s face it: while Vanillaware has, in fact, done a really good job evolving aspects of the genre’s gameplay to conform to current generation expectations, the story is but a means to an end and can be dismissed as much as any old fantasy themed beat-em-up. Another curious design decision is the disposability of characters that you revive at the temple. While I was able to keep my characters for the most part during the first half of the game, I began to start losing characters a lot when attempting later B-routes. Partly, this is due to the fact that the AI for these characters just doesn’t function the same as having a real human person play with you. Also, being unable to fix these characters’ armor, weapons, and accessories and their inability to gain experience, gain new skills, and level up ensure that you’ll be going through more than several sets of party members by the time you finish the game. In terms of audio quality the game has a narrator that talks about your adventures similarly to, but not exactly as in-depth as, the narrator in Bastion. Each character class allows for a choice of Japanese or English voices, and either only say small quips or grunt and groan during combat. The music for the overworld map and town are some of the more memorable pieces in Dragon’s Crown, but the dungeon music is a bit forgettable. Having had the chance to try both the PlayStation 3 and PS Vita versions of the game I found that the Vita version, in some dungeons and situations, tends to receive a lot of slowdown when a lot of things happen onscreen. The same can’t be said about the PlayStation 3 version of the game, which runs at a beautiful 1080p and rarely drops below 60fps. 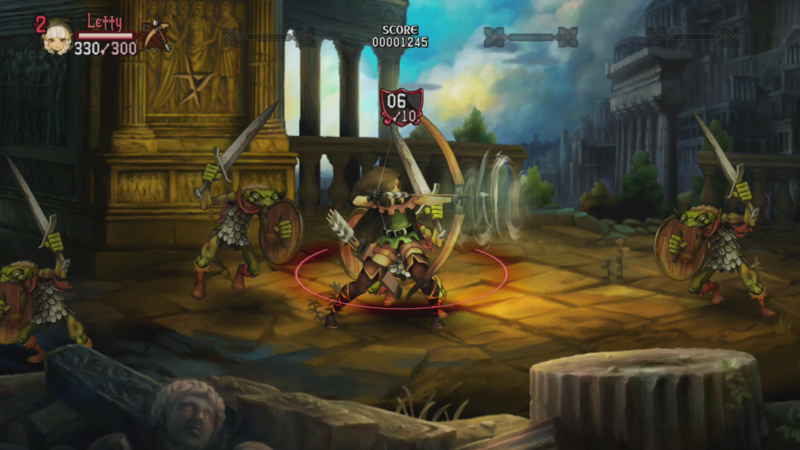 Each version has its perks: You get a beautiful rendered image on the PS3 version, and Dragon’s Crown‘s gameplay lends itself to portable gaming on the Vita. While the main storyline of Dragon’s Crown really was closer to about 15 hours than the proposed 20, this didn’t really matter to me. Too often we judge a game’s longevity in our libraries based off of how long it’ll take us to finish a game. Dragon’s Crown falls somewhere completely different in my book, as it definitely rekindles fun memories of playing beat-em-ups with friends, but with a relatively deeper and engaging skill system. Sure, it might not be a perfect game, but the fact that it’s able to deliver a fantastic same couch experience, augmented with seamless online integration that’s both fun and breaks the monotony of the rest of the game, keeps making me come back to the game. What Dragon’s Crown amounts to, ultimately, is a showcase of Vanillaware’s passion to bring back the beat-em-up genre and to remind us that the king of beat-em-ups is back. Alex played through almost 20 hours of the main campaign as an Amazon on his Vita, in which he got stuck and is still grinding his way from level 31 to level 35 in order to defeat the last boss. He played both Odin Sphere and Muramasa as preparation for this review. In order to assess the PlayStation 3 version of the game, Alex transferred his save from the Vita version of the game to the PlayStation 3 version and created a new Elf character to be played with a couple of close friends and reached level 12. He then went online with the game to test its functionality with Japanese gamers who were already playing the game. Atlus provided both a PlayStation 3 and a Vita review copy for this title. + I like the art style!